Throughout the years I heard and read about several examples of successful small-scale farming where a family can make a living on a few hectares if at all, and without using heavy machinery. Most of these examples are cross-pollinated, inspiring each other, and work with principles rooted in e.g. the french intensive gardening methods, permaculture, etc. Below are some the most famous examples. 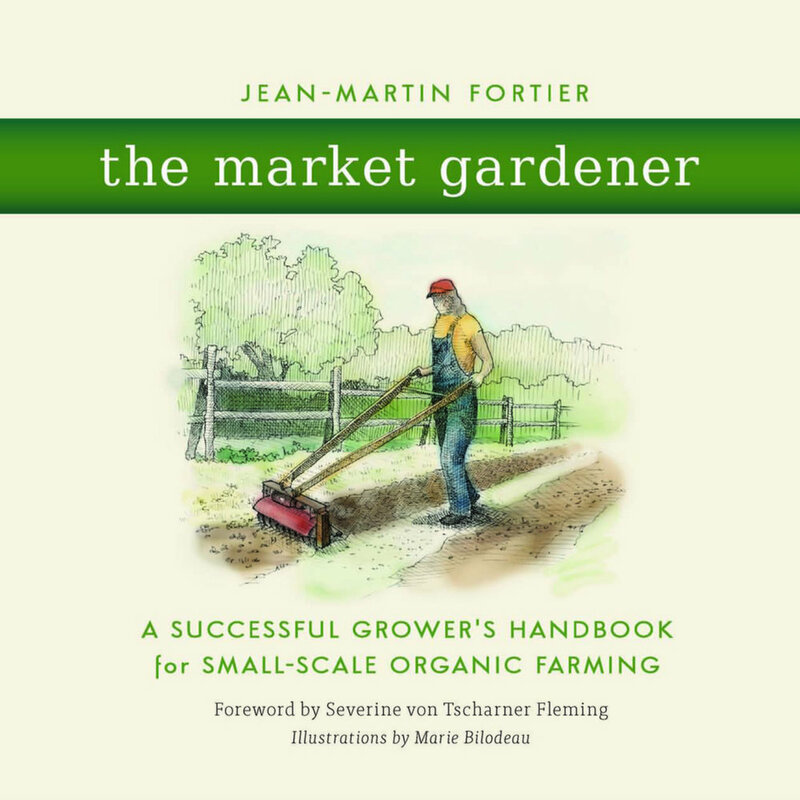 - JM Fortier, "the market gardener" from Quebec is currently one of the most influential advocators of growing better, not bigger. With his farms Les Jardins de la Grelinette and La Ferme des Quatre-Temps', as well as his successful book The Market Gardener he shows how to make a living with less than a hectare of vegetable garden. - The Bec Hellouin Farm from Perrine and Charles Hervé-Gruyer is a similar example in France. Its performance has been examined by a group of researchers from french agriculture research institute INRA. The report can be downloaded from the link above, and the book "Miraculous Abundance" can be ordered. - Directed by John Jeavons, Ecology Action from California developed Grow Biointensive since the 1970s. It is a mini-farming approach based among other principles on (initial) deep soil preparation ("double digging"), close plant spacing, and proper garden planing to grow enough carbonaceous crops for compost as well as enough calories and vitamins for human diet. The techniques are presented in detail in "How to grow more vegetables...". Clearly there is inspiration to be drawn from these examples. The impact on food production as we know it could be significant.